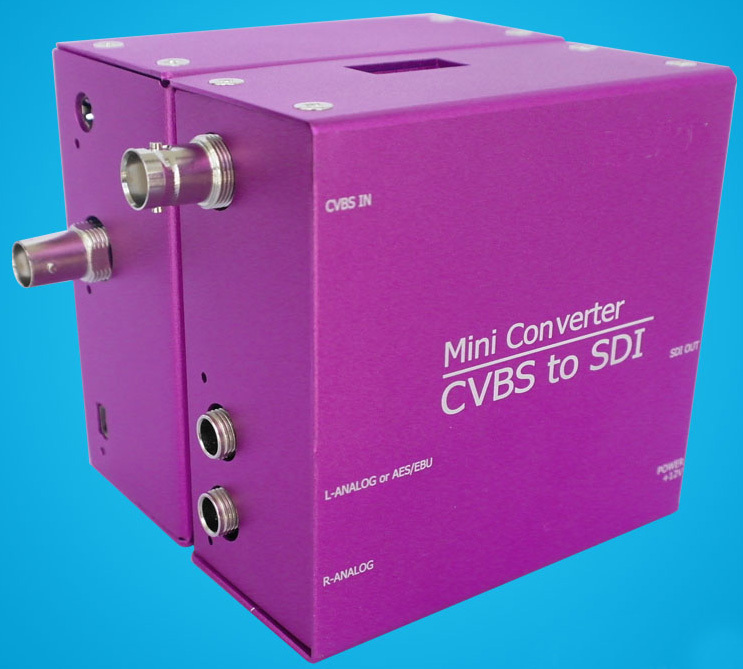 CVBS input to SDI output. Support input resolution of of SMPTE: 480i, 576i. Support SCALE, left and right analog sound channel input, digital AES/EBU input, CVBS embedded audio input and mute function. The LED indicator beside SDI interface lights when output SDI signal When input analog audio signal, the LED indicators beside L-ANALOG and R-ANALOG light. When input digital AES/EBU signal, the LED indicator beside L-ANALOG or AES/EBU lights.